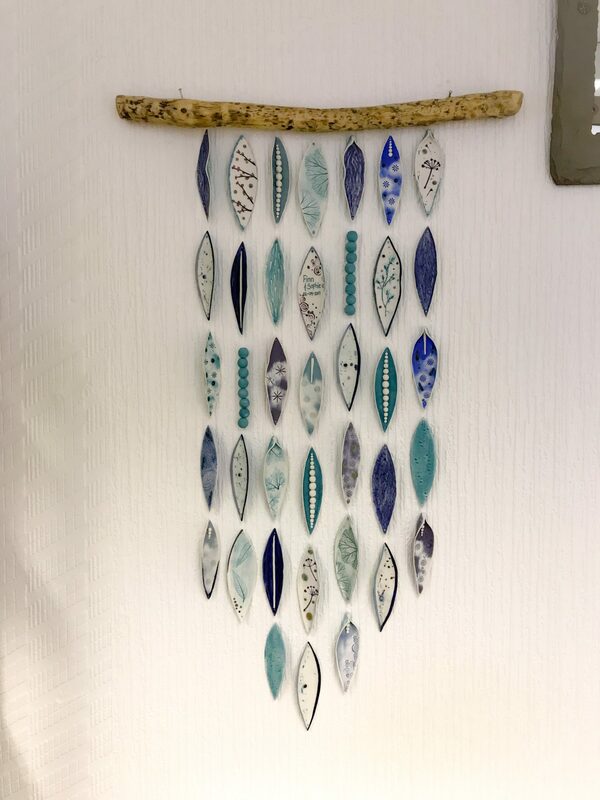 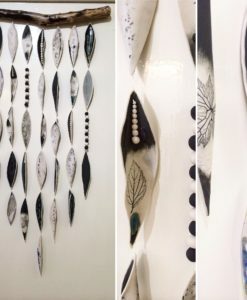 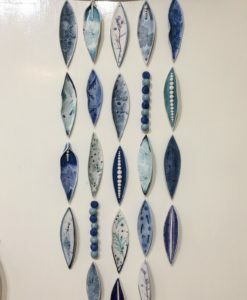 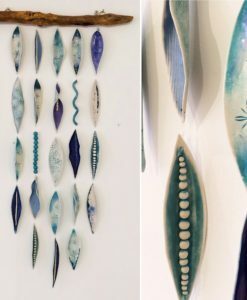 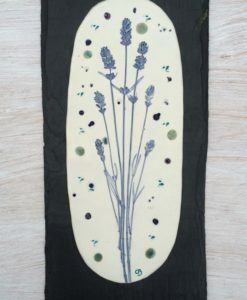 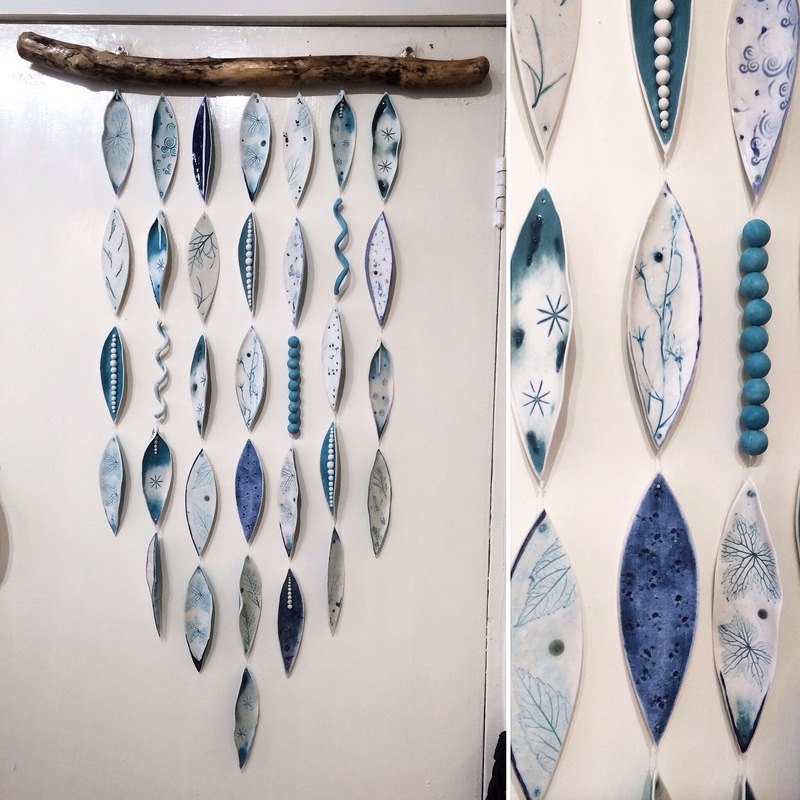 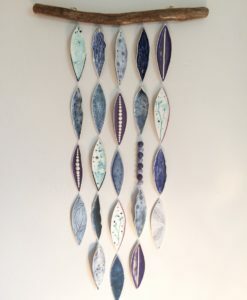 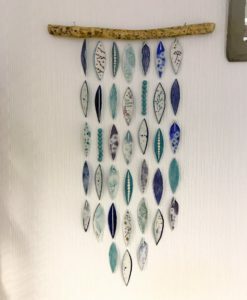 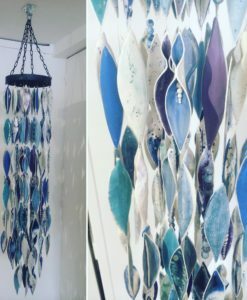 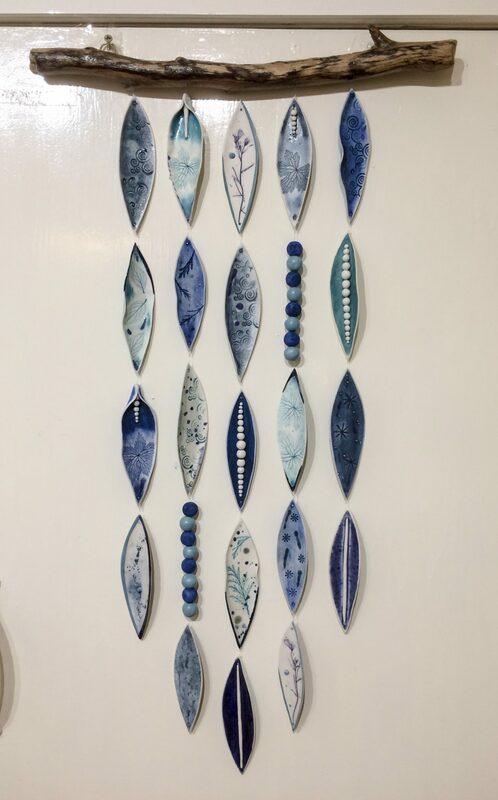 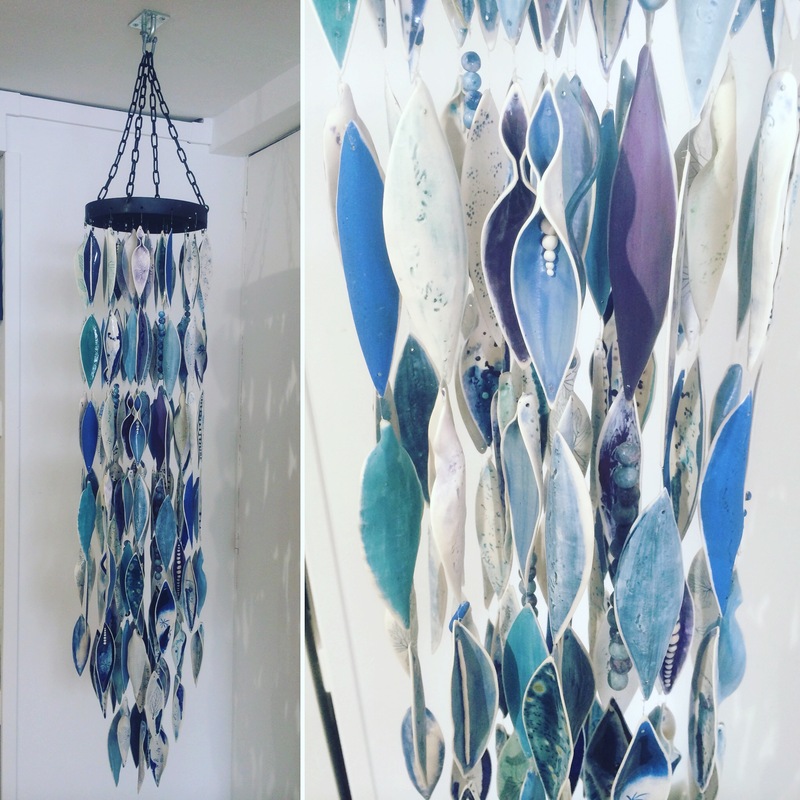 A stunning wall hanging made out of porcelain pieces decorated with various textures and pressings inspired by nature and organic forms. 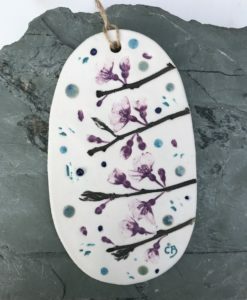 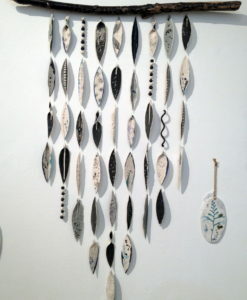 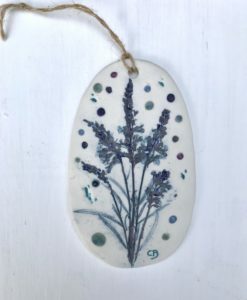 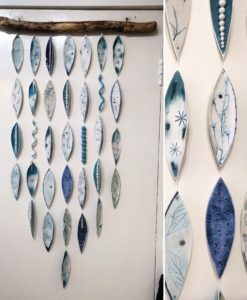 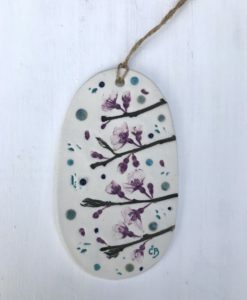 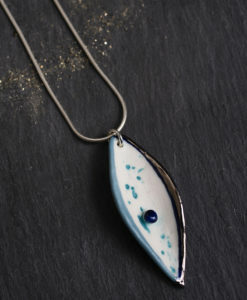 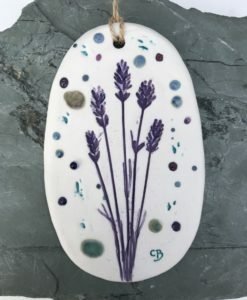 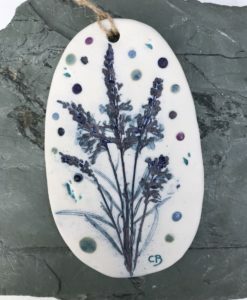 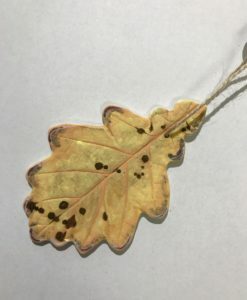 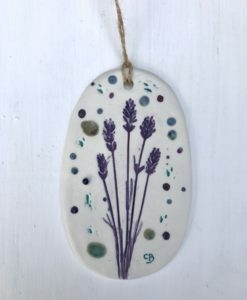 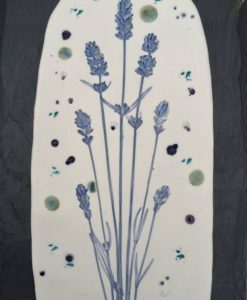 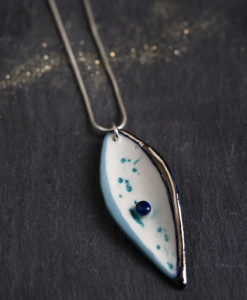 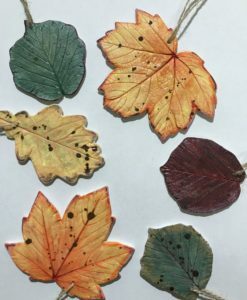 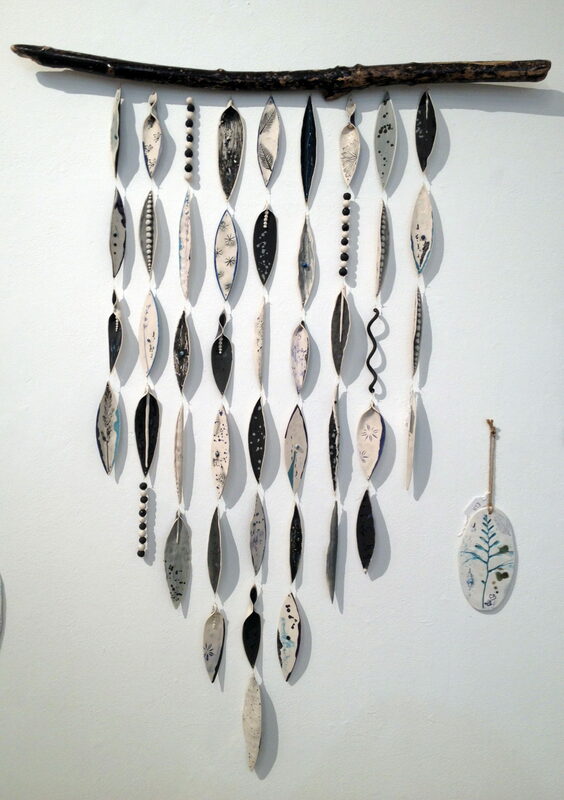 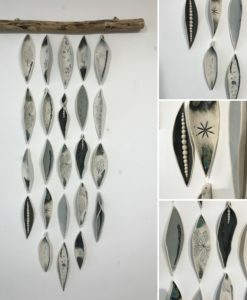 Each piece is hand crafted into a range of shapes, biscuit fired, glazed, refired and suspended onto pieces of driftwood. 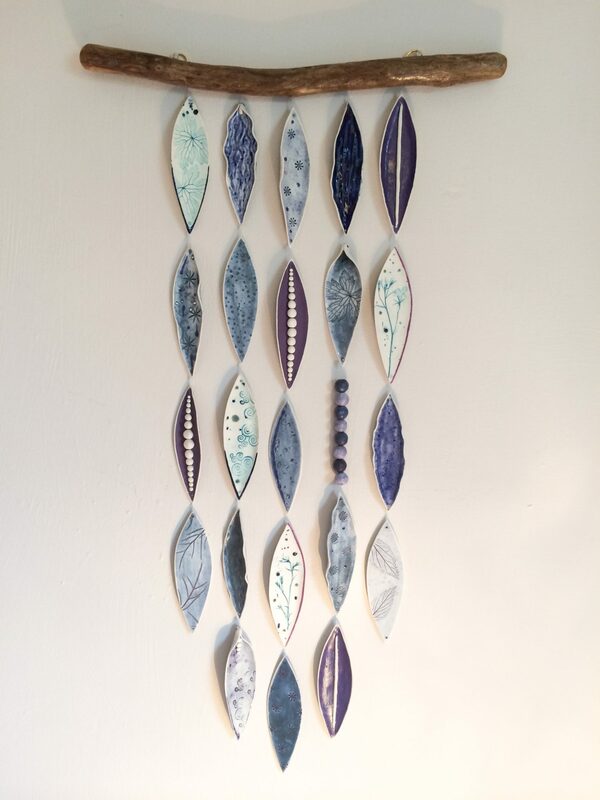 A stunning wall hanging made out of porcelain pieces decorated with various textures and pressings inspired by nature and organic forms. 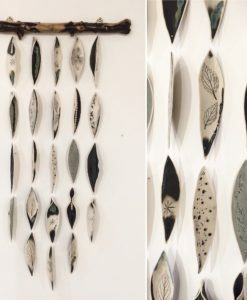 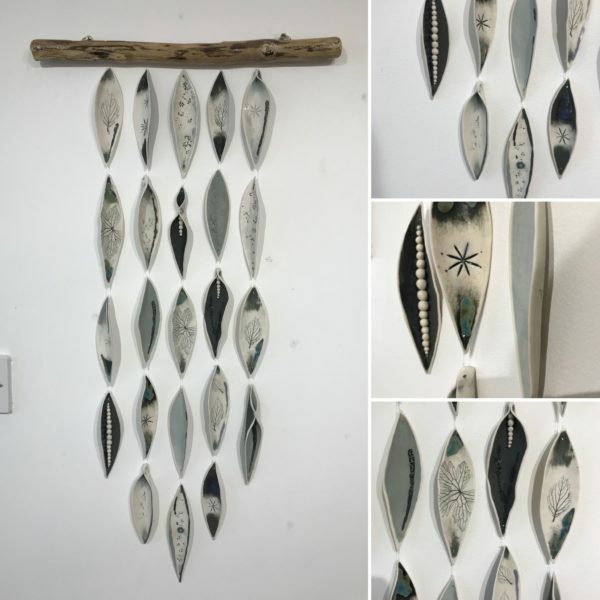 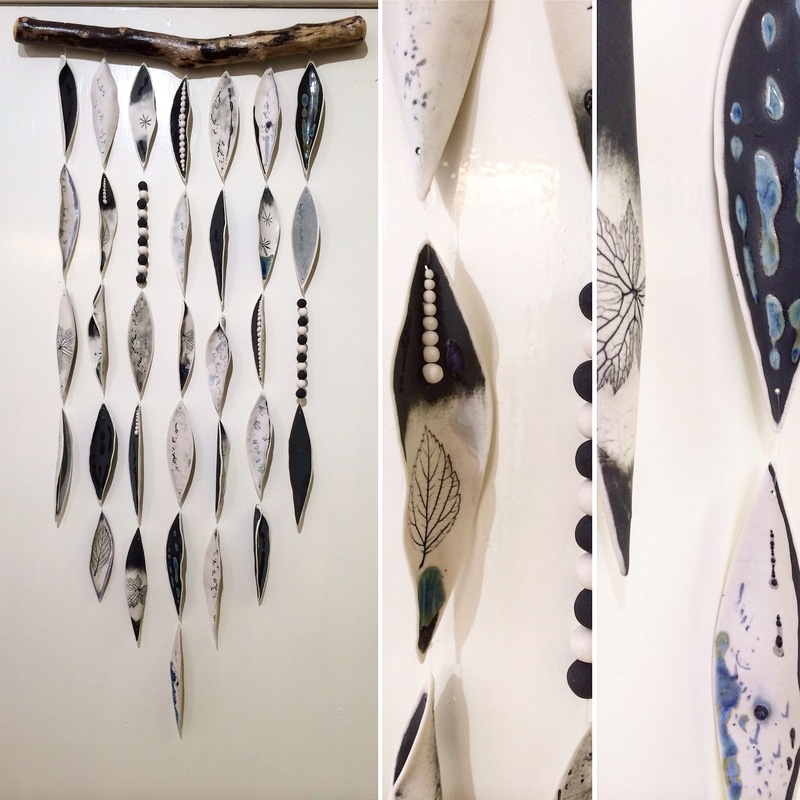 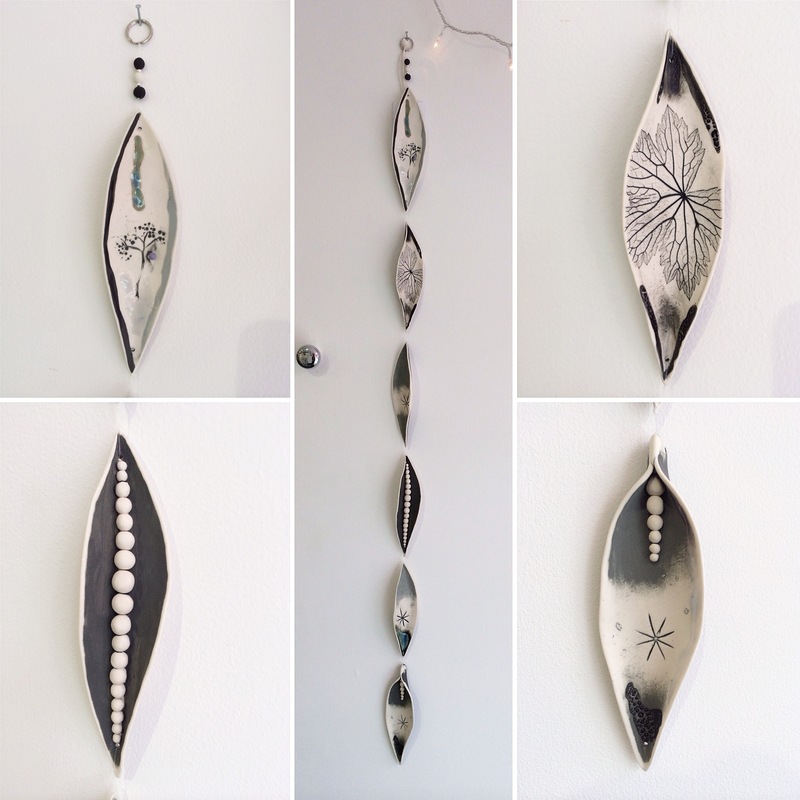 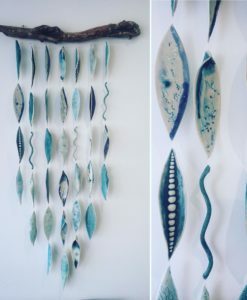 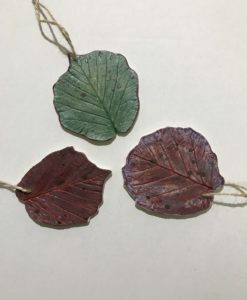 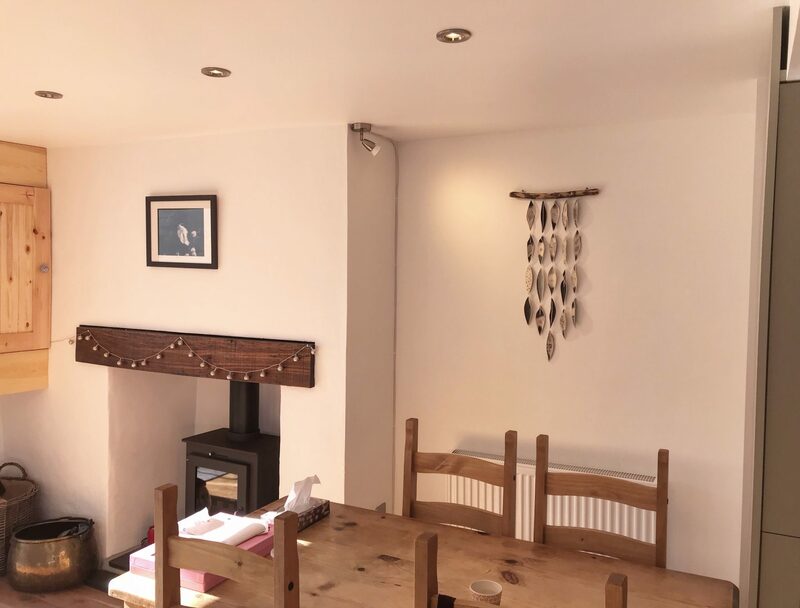 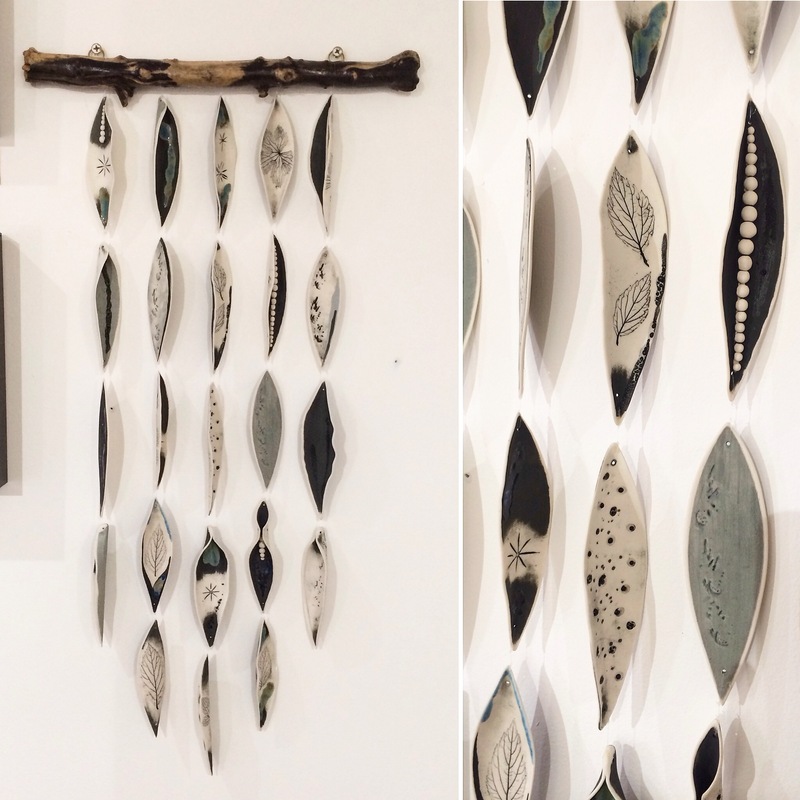 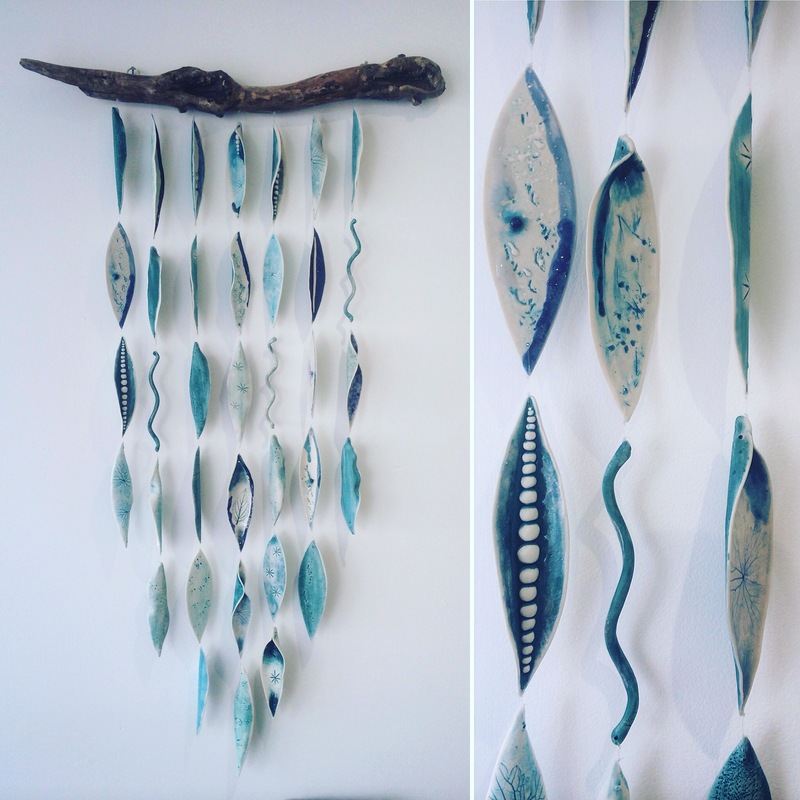 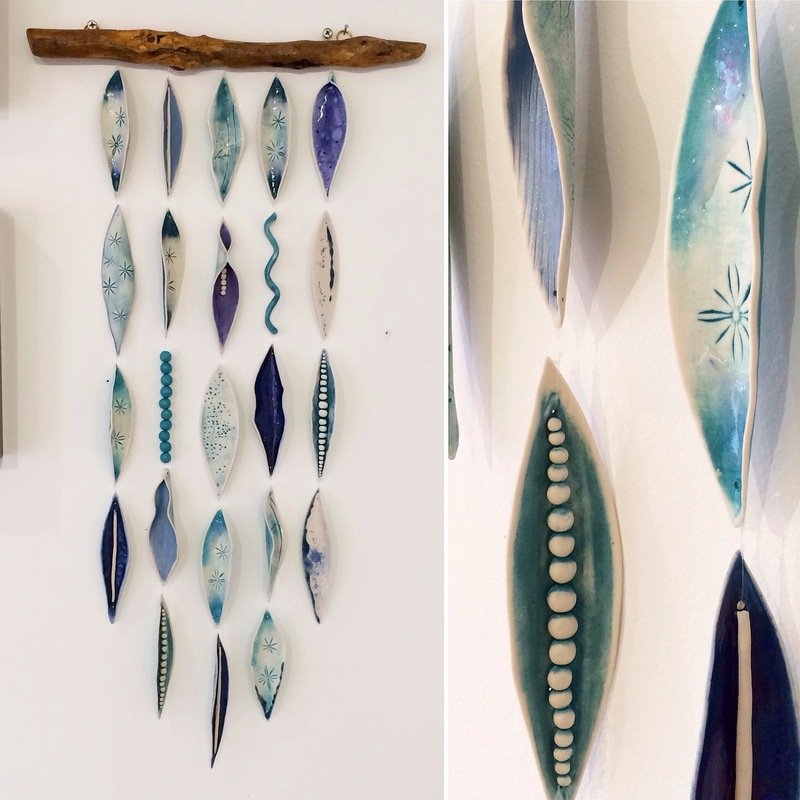 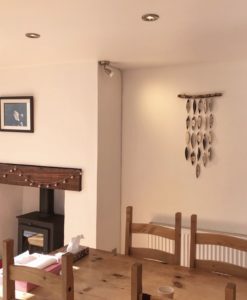 Each piece is hand crafted into a range of shapes, biscuit fired, glazed, re-fired and suspended onto pieces of driftwood. 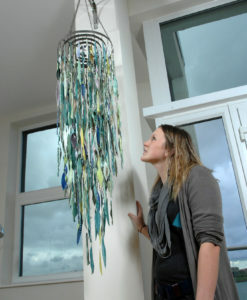 Postage is courier insured trackable service.